Texas State Senator Dr. Judith Zaffirini (D-Laredo) will visit the Coastal Bend College Beeville campus on Tuesday, October 16, 2012 at 2:30 p.m. for a legislative forum with CBC students, faculty, staff, and community members. 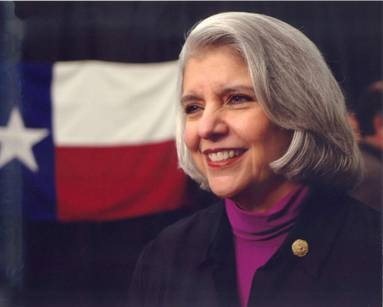 Senator Zaffirini has been a member of the Senate of Texas since 1987 and is the highest-ranking woman and Hispanic senator. A recipient of over 670 awards and honors for her legislative, public service and communications work, she is a distinguished and well known communications specialist in addition to serving as senator for the people of the 21st district of Texas. Senator Zaffirini has consistently been an advocate of improving public education, higher education, and health and human services for the entire state of Texas. During the legislative forum, Senator Zaffirini will provide a legislative update about issues that affect our community and students. Following her legislative update will be a question and answer session for her constituents to ask questions or voice concerns about current legislation.